I hope everyone had a great Thanksgiving and got a chance to enjoy time with family and friends. We did the YMCA Pie Run in Middletown and braved the cold to earn our Turkey and Mashed Potatoes! Here is the training plan for this week. Let’s kick off December on a strong note and bring it home for the New Year. 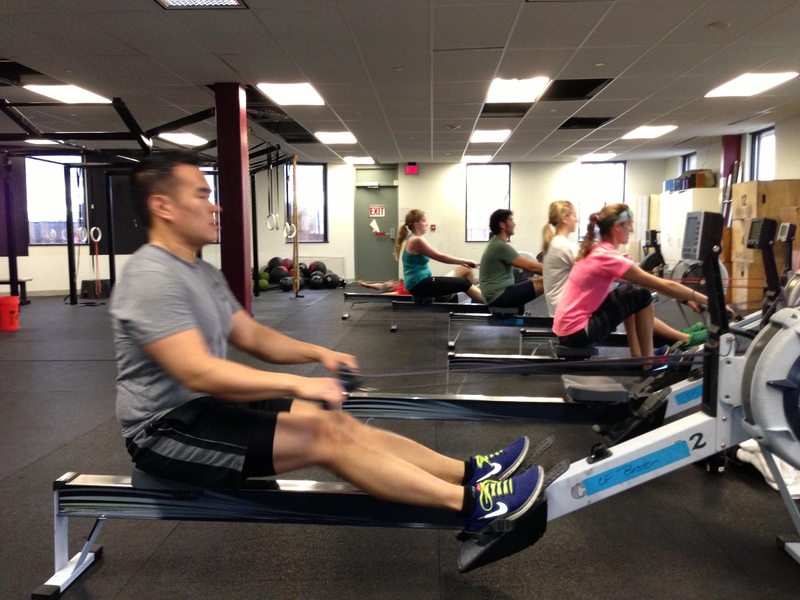 Let us know if you have any questions or would like to join the Renegade Rowing Project in fighting for your goals! Spend 3min in the bottom of a squat each day … tell us how it goes! One thing that all good athletes have in common is a sense of efficiency. The athlete that can maintain proper mechanics and spend the least amount of energy to complete a task will be able to push harder and farther compared to the athlete that just flies and dies. This weeks’ Rowing WODs introduce a key concept to being efficient in rowing and may improve your efficiency in longer wods. 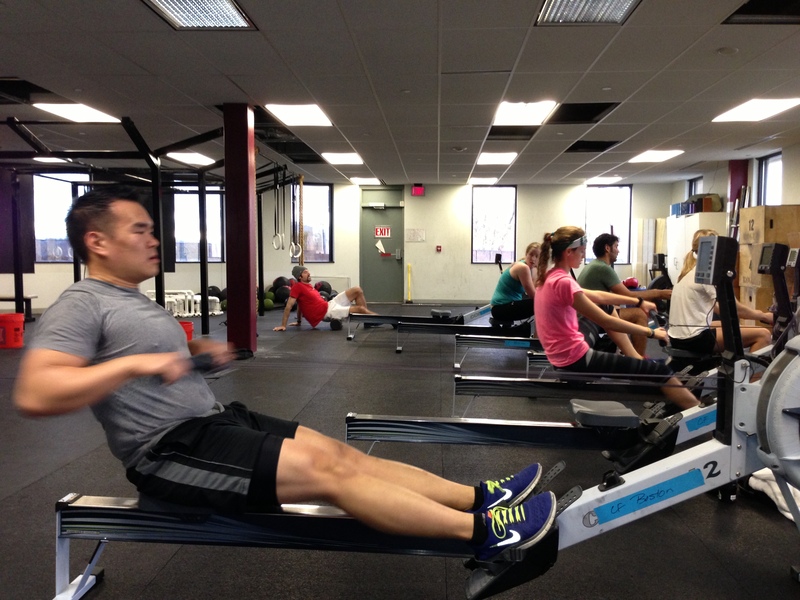 Checkout the focus for Monday’s RWOD… Start the workout by rowing 1,000m at 28 strokes per minute and holding a 2k+5 split. This will get you warm and ready to go to work. During the 4min rest fit in 20 push ups however you want. Then, set the monitor for 3′ of work and 1′ of rest. Each 3-minute piece is broken into 1-minute sections that should be rowed at the designated stroke rating holding a 2k+7 split. In order to hold the goal split while decreasing the stroke rating you must perform a ratio shift. A ratio shift changes the timing of the stroke on the drive and the recovery. For example, shifting from 1 on the drive: 2 on the recovery, to 1 on the drive: 3 on the recovery. This is a challenging workout. Use it to develop a sense of efficiency. 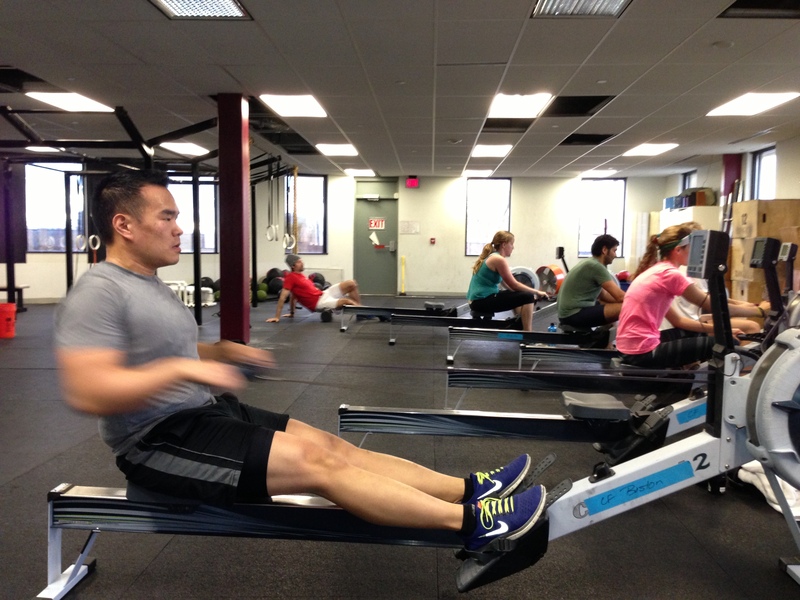 A proper ratio shift maintains the power per stroke but allows the rower time to breath and prepare for the next stroke a little bit more. Post your results for this weeks workouts and your Experience with ratio shifts. Below are some pictures of Mike T. after working on staying connected through the finish. What does your finish look like? Is it efficient? How fast do your hands move through the finish? … Just a few things to think about as we continue to work on suspension through the stroke and balanced finishes. This entry was posted in Fitness, Motivation, Our Mission, Rowing, Strength and tagged Boston, Cambridge, community, endurance sports, exercise, functional movements, health, inspiration, new sport, outdoors, personal experiences, row 2k, rowing, sports, Strength, Strength Training, training by Renegade Rowing. Bookmark the permalink. CP’s Monday: Got in the Front Squats and intervals this morning. Kept it light to work on form and not overdoing it after being away for the holiday. Heading back for more and the 3min squat challenge tonight.